Gardening season is upon us here in New England. The other day, my husband was going through a seed catalog to plan out his crops. He stumbled upon eggplant and asked if I would like him to grow some. We grew some, but our efforts only yielded the cutest, smallest eggplants ever! After that experience, I decided we would save eggplant for the farmer’s market. That conversation made me crave a savory baked Eggplant Parmesan. 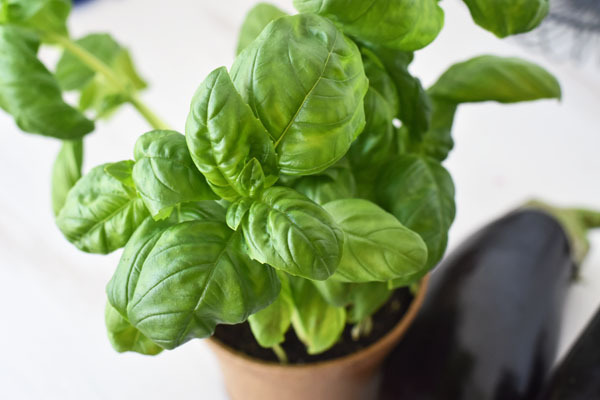 As an added bonus, we had some fresh basil available that was grown on the windowsill. It was the perfect addition to this recipe. In New England the temperature swings can be drastic. We went from 80 to 61 in one day, so it was nice to use the oven this past Sunday. 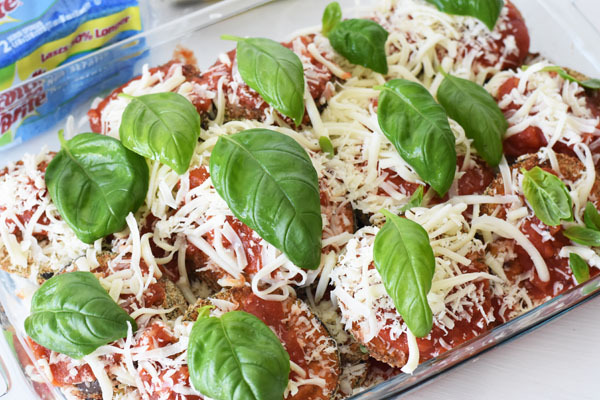 Our Eggplant Parmesan recipe has less calories than the traditional fried version because it’s baked with simple ingredients. I use a simple egg wash, Italian bread crumbs, an organic pasta sauce, and fresh grated cheese. Trust me, I love a cheesy Eggplant Parmesan but I reduced the amount of cheese so it was less calorie-rich. 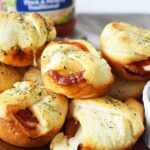 This recipe is easy to prepare. Preheat your oven to 400 degrees and make sure you wash and dry your eggplants. Spray 2 large baking sheets with non-stick spray. Next, slice the eggplants into 1/2 inch thick slices. Make your egg wash by adding the eggs to a medium bowl and whisk them together. Add the breadcrumbs to a second bowl and place it next to the bowl with the egg wash. You’re going to dip the sliced eggplants into the egg wash first, then into the breadcrumbs before placing them onto the baking sheet. The next step is to add the minced garlic. This is optional for those of you who don’t like garlic, or don’t happen to have any on hand. I love the flavor that garlic adds to a savory recipe – especially Italian food! Next, you’ll pre-bake the eggplants for 6 minutes on each side. 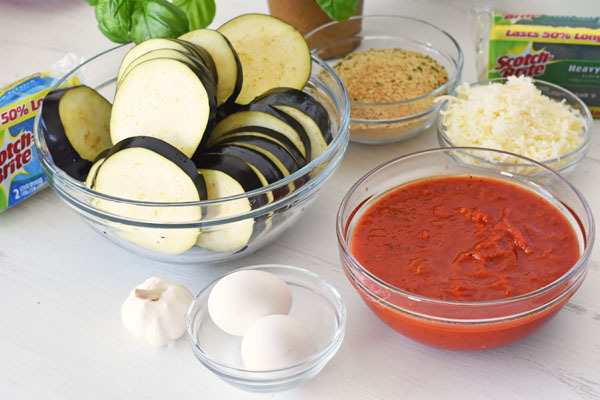 This pre-bake is important because the next time you put them in the oven with all the toppings, it wouldn’t be long enough to fully cook the eggplant without dehydrating the marinara sauce and basil. After the breaded eggplant slices bake for 6 minutes per side, you can take them out of the oven and lower the oven to 350 degrees. Grab a glass baking dish and pour 1/3 of the jar of sauce into the bottom of the dish. Next, place the eggplant slices on top of the sauce. Now you’re going to create delicious layers of eggplants, cheese and sauce. Sprinkle a layer of cheese, then sauce, then another layer of eggplant. Then repeat with more cheese, then sauce! This layering will bake up into an explosion of amazing savory flavor! The last step is to top with a layer of fresh basil and bake for 15 minutes at 350 degrees. 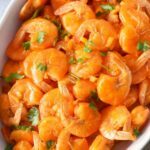 The aroma of these ingredients circulating though our home was amazing! I’m sure you’ll agree! 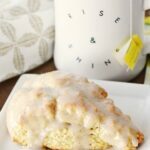 See below for the full printable recipe. 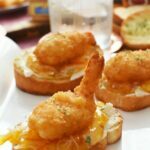 A lightened up version of a classic dish. 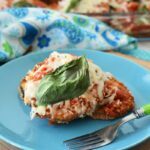 This Eggplant Parmesan is baked and features less cheese but lots of flavor. Add eggs to a medium sized bowl and whisk them together. Dip each slice of eggplant into the egg wash and then the breadcrumbs. 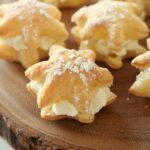 Place them down on baking sheet in a single layer. Top slices with cheese, and sauce, layer again. You should have two layers of eggplant, 3 layers of sauce, and two layers of cheese. As you can see this looks delicious, but tastes even yummier. 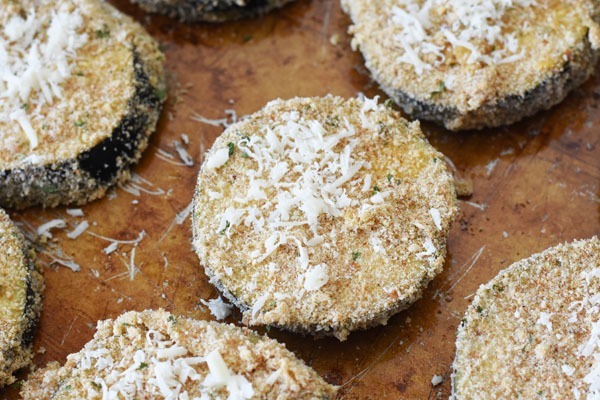 Baking the eggplant verses frying it also saves some calories and makes this one yummy dish! 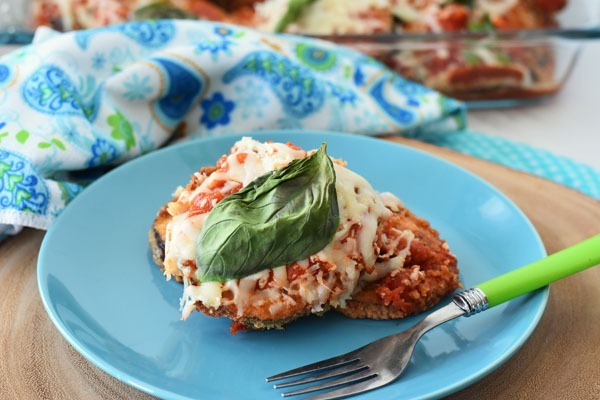 Do you enjoy Eggplant Parmesan? Pin this Image!